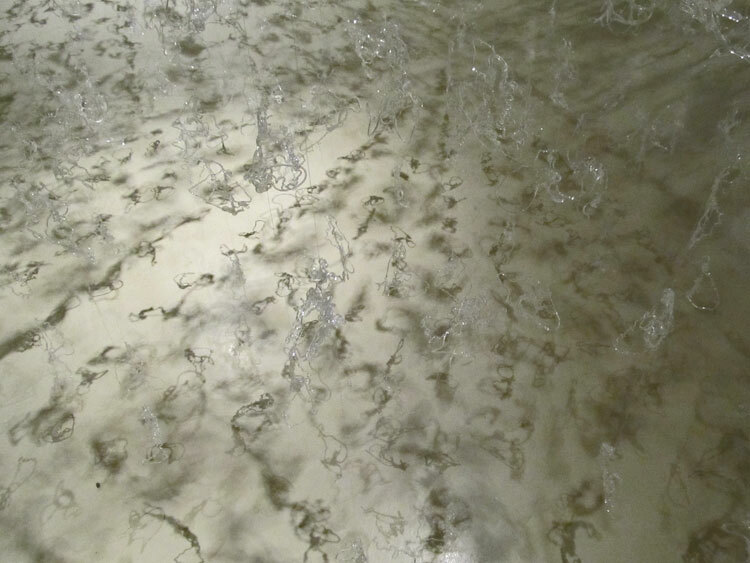 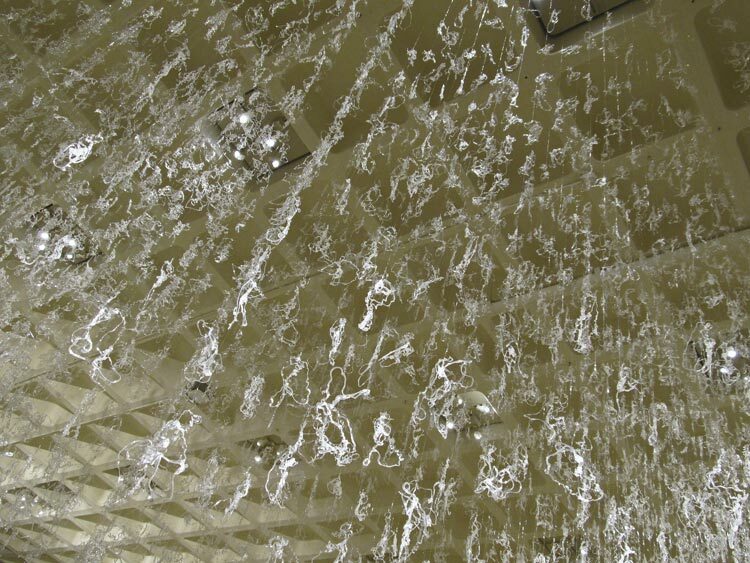 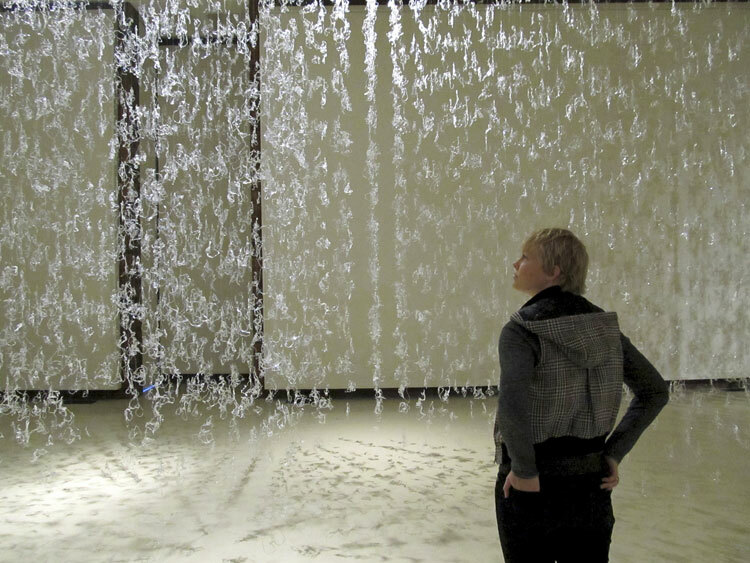 Nearly 2,000 lengths of monofilament were hand drizzled with hot glue and suspended on thin wire from the ceiling. 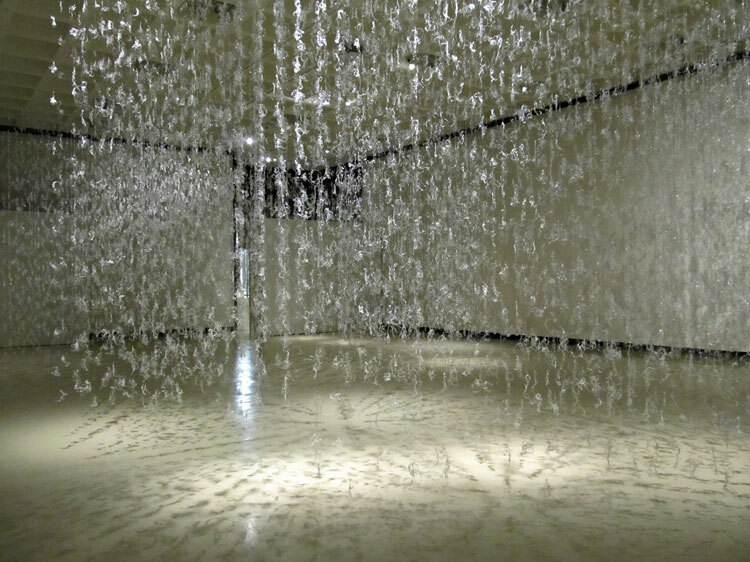 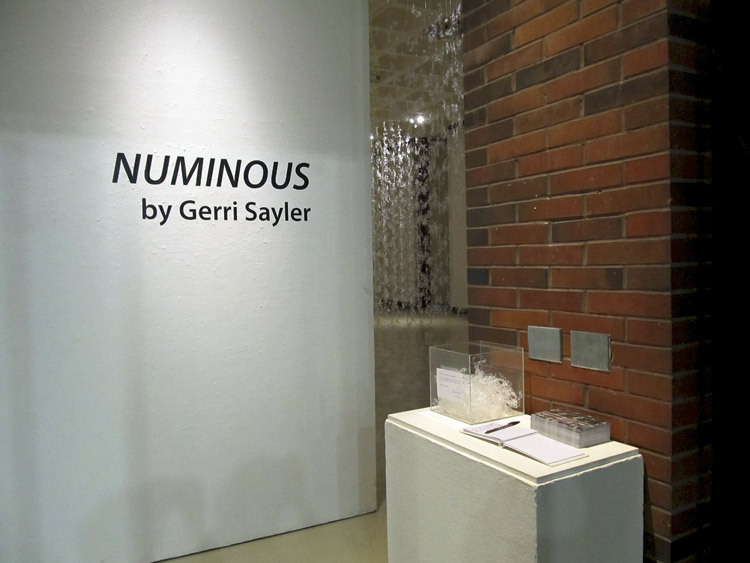 The artwork presents interconnecting curves, articulated by a pathway at the gallery’s center. 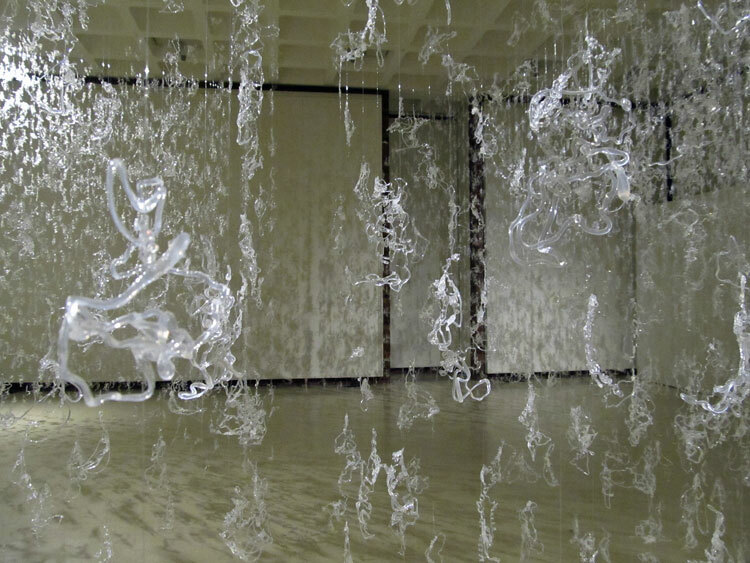 As viewers move in and through the work, the gossamer structure quivers continually between thresholds of opacity and translucency.